With many years of experience, Powerwise Electrical specialise in house rewiring and will always provide an excellent service. 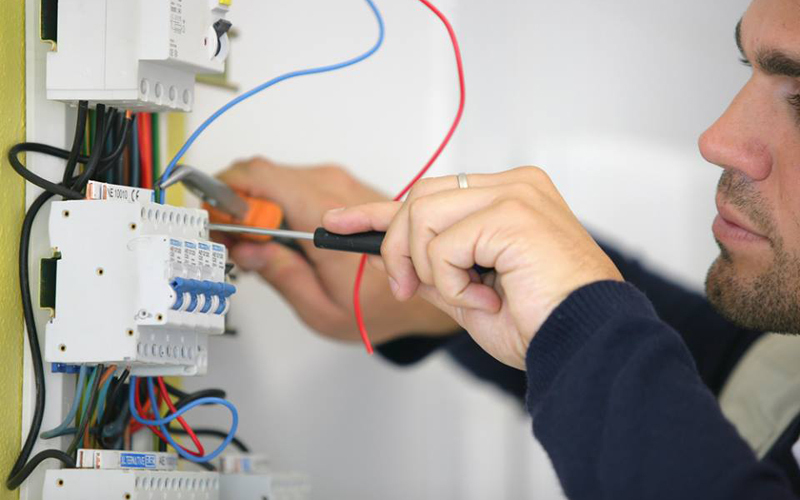 What is involved in a house rewire is the replacement of the current electrical wiring with new and importantly safer wiring. More often than not, electrical systems which have been present for many years in older homes are not up to modern electrical standards. Another reason why a House Rewire is very important is due to the demand on today’s electrical house wiring is much greater due to the many appliances, lighting and also home entertainment. These require greater capacity and many older home electrical systems are unable to meet these demands. Therefore it is recommended that you rewire your house at least every 25 years if not more often. Not only does this make your house safer, it can also solve problems such as blown fuses. Typically, we can rewire occupied houses within a week. Powerwise Electrical’s service includes chasing walls. Powerwise Electrical always provide RECI certificates upon completion of works. Faulty electrical wiring can lead to fires or cause damage to electrical equipment so you should have your electrical system regularly checked by a RECI registered electrician to check that your wiring meets the required standards. We provide an excellent service in installing electrical showers and carry out all plumbing works necessary. Our price is very competitive so please call for a quote.